Wholesale hair products in bulk, very cheap prices when you purchase by the case. All hair products are approved by the FDA. AXE Conditioner 1.7 oz. 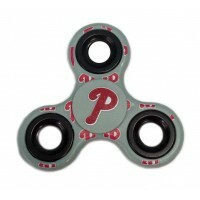 $0.18 Each. Wholesale conditioner from AXE, a leader in men's grooming, is an iconic personal care brand around ..
Shampoo and Conditioner in One! Great for travel or any time a wash is needed. Great for hotels! Siz..
Shampoo and Body Wash in One! 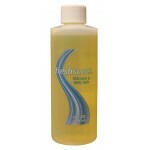 Great for travel or any time a one use shampoo and body wash is need..
Wholesale freshscent conditioner 1 oz. 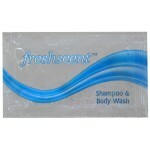 This is the perfect size for hotels, motels, bed and breakf..
Freshscent Shampoo 1oz. This is the perfect size for hotels, motels, bed and breakfast locations o..
Freshscent 128 oz. Shampoo & Body Bath $10.50 Each. 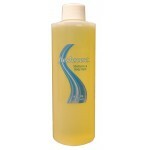 This wholesale shampoo and bodywash is the perfect size when purchasing at wholesale price. 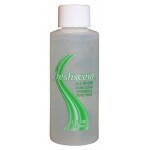 Com..
Freshscent 16 oz. Shampoo $1.89 Each. Freshscent 16 oz. Shampoo & Body Bath $1.78 Each. This wholesale shampoo and bodywash is the perfect size. Comes in a clear container to see how much ..
Freshscent 2 oz. Conditioner $0.38 Each. Wholesale conditioner in 2 ounces that is great for hotel supplies, hygiene kits and travel. Use aft..
Freshscent 2 oz. Shampoo Body Bath $0.30 Each. Wholesale shampoo and body wash in one. It is the perfect size for traveling, hotels, and hygiene ki..
Freshscent 2 oz. Tearless Shampoo $0.41 Each. 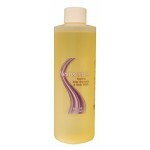 Wholesale shampoo that is gentle on eyes, yet great for getting your hair and body clean. Perfect fo..
Freshscent 4 oz. Conditioner $0.56 Each. Wholesale freshscent conditioner is alcohol free and made in USA. Great for traveling supplies or ..
Freshscent 4 oz. Shampoo & Body Bath $0.56 Each. Freshscent 4 oz. Shampoo Conditioner $0.66 Each. 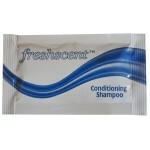 Wholesale freshscent conditioning shampoo. 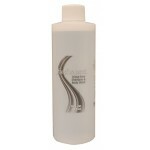 Awesome way to accomplish nice clean hair in one single s..
Freshscent 4 oz. Tearless Shampoo $0.58 Each. Freshscent 8 oz. Shampoo $0.97 Each. 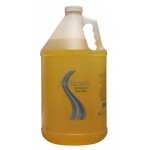 Wholesale shampoo is ready to use, no water needed to use this product. Eliminates odors and is s..
Freshscent 8 oz. Shampoo & Body Bath $0.94 Each. Wholesale shampoo and body wash in one formula. Perfect size for hygiene kits, hotels, and travel. C..
Freshscent 8 oz. Tearless Shampoo $0.98 Each. 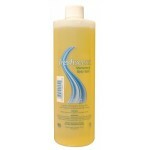 Wholesale freshscent tearless shampoo that is gentle on eyes, yet great for getting your hair and bo..